Whenever your team releases new code, you run the risk of creating a bug, i.e., an error or exception. Fortunately, with the right tools, you can quickly identify bugs and prioritize how your team is going to fix them. Using bug tracking software, your team can collaborate to fix bugs by logging them as issues. Issues are your central hub for discussing, working on, and resolving each bug. They detail important information about any and all changes made to your code, and they track who is working on it and when. Moreover, bug and issue tracking tools make it easy for the entire team and managers to get a high-level view of where every bug is at in your workflow. 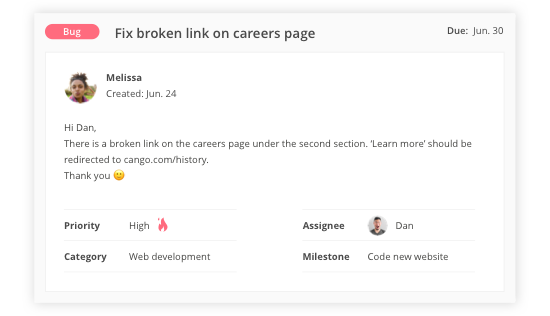 Plus, with a living archive of your software, every team member today and in the future can understand your software's history, including all bugs and fixes. 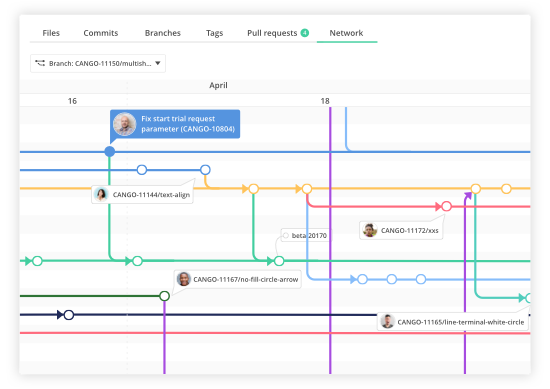 Many bug tracking tools can capture and track bugs, but Backlog can help your team seamlessly manage the end-to-end development of your products. 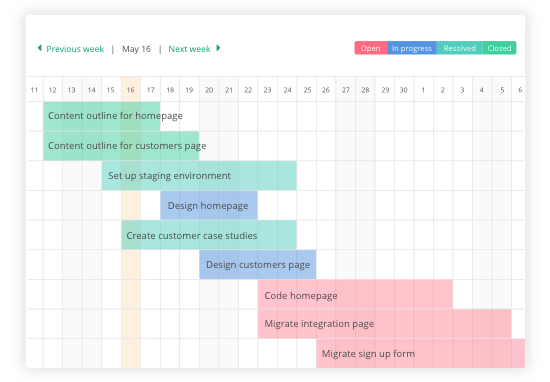 Teams around the world plan, track, and release software using Backlog's unique feature set. From creation through maintenance, Backlog is built to help teams deliver the best software possible. 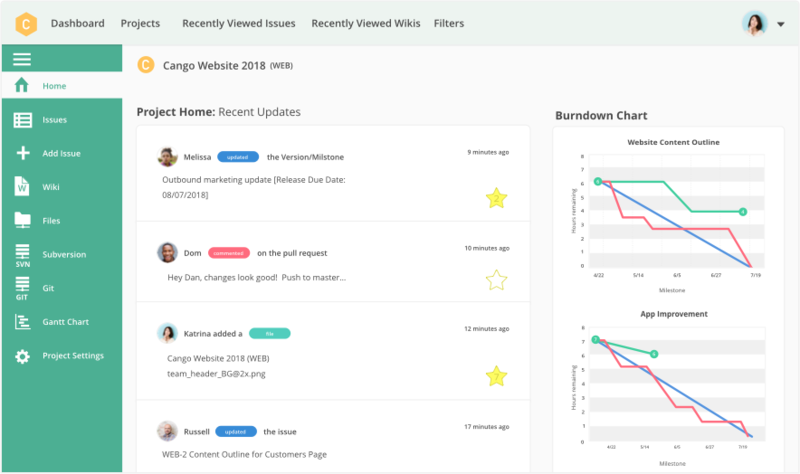 Since 2004, Backlog has been helping software teams manage all aspects of the software development cycle, including tracking and managing bugs. Properly documenting the who, what, where, when, and why of a bug is crucial for resolving it without further errors. Each issue in Backlog comes with space for a title, description, attachment(s), and custom fields* to help you define bugs. All bugs need to be prioritized and assigned based on the bug's urgency and your team's current workload. With Backlog, you can set priorities for each bug, assign them to your team, and change due dates as needed to accomodate incoming projects and new bugs. Keeping your team up to date about bug additions, status changes, comments, and code updates is invaluable for efficient teamwork. 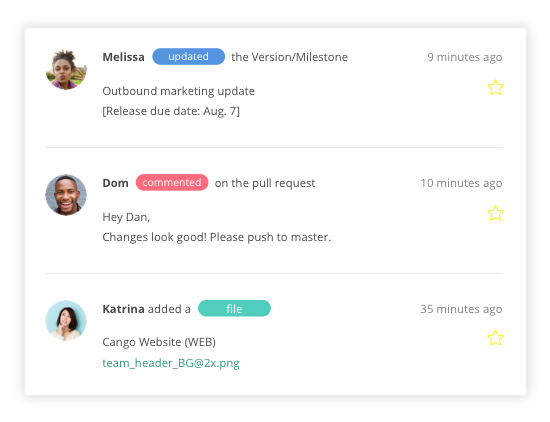 With in-issue commenting and targeted notifications, Backlog makes sure the right people are notified of important changes from open to close. Working on and releasing bug fixes shouldn't require you to leave your bug tracking tool. Developers can create a new git branch directly in Backlog where issues will reflect each pull request, merge, build, and other updates.